In addition to technology, TicketNetwork embraces the concept of corporate social responsibility. TicketNetwork’s charitable giving is focused around three main causes: cancer research, veterans’ support, and urban development. All three causes are important to the TicketNetwork family and the company is proud to lend its support. TicketNetwork is particularly proud to support Make-a-Wish CT through corporate donations and hosting events, such as the annual Believe Eve. With TicketNetwork’s help, Make-a-Wish Connecticut continues to grant the wishes of children with life-threatening conditions. 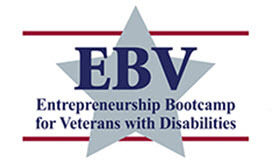 TicketNetwork is also proud to support the UConn Entrepreneurial Bootcamp for Veterans. For the past several years, TicketNetwork has supported 4 scholarships in the program annually and donated hundreds of employee hours to support the program’s participants. In addition to Make-a-Wish CT and the UConn Entrepreneurial Bootcamp for Veterans, TicketNetwork is proud to contribute to the Connecticut NAACP, numerous other cancer-related charities, and other organizations throughout Connecticut. TicketNetwork also makes an impact on the associate level, through employee-driven fundraising and participation in community events, such as Relay for Life South Windsor and the annual Achieve Hartford Community Spelling Bee. TicketNetwork also supports a wide variety of local charities through employee-driven fundraisers and other events.